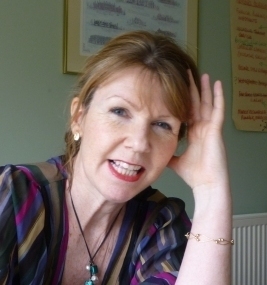 Margot Grantham is a serial networker and businesswoman responsible for The Athena Network in Scotland and a director of WDGresearch in England, an international market research consultancy. Since 2007 Margot has introduced five businesswomen’s groups around the Edinburgh area and she commutes between Scotland and her home in Buckinghamshire every other week. We are delighted to welcome Margot as a feature writer at the3rdi magazine. I dislike cynics – they always drag a good idea down and tell themselves that the status quo has to be better than leaping into the unknown when an opportunity for change arises. I think this must be why I enjoy business networking, almost everyone I meet is positive and actively looking to take their business to the next level. I specifically vent my frustration at detractors of social enterprise – those Moaning Minnies who see sustainability initiatives as a waste of time and suspect community development trusts of profiting from other’s misfortunes. These people can find fault in any idea – that isn’t theirs. When Jamie Oliver introduced 106 young unemployed people to hard work and the potential to earn decent wages his detractors cried exploitation! Undeterred he continued with the project which resulted in the creation of Fifteen, Oliver’s chain of restaurants, When he brought attention to the junk food culture of school dinners he was called interfering, and when he tried to reintroduce low income families to the health benefits and cost effectiveness of proper home cooking he was told it would never work. Ever passionate, Oliver has continued in his mission to make a change in people’s lives. The thing with social enterprise is that its initiators need extremely thick skins and absolute self belief. They tend to start off as ‘blue sky thinkers’. I don’t mean the ‘what if’ types but the people who think of an idea within a genuine opportunity to make life enhancing improvements in their community. These are the folk who follow their ideas through with a passion, side-stepping all negative criticism. Being profitable is the cornerstone of social enterprise. The profits are reinvested into the community it serves making the enterprise financially sustainable. Aside from the high profile enterprises like the Big Issue, Fifteen, and The Eden Project there are some 62,000 social enterprises employing around 800,000 and generating £24bn (Source 2005-2007: Annual Survey of Small Business). These businesses cover all sectors from retail to renewable energy, from farmers’ co-operatives to recycling plastics to make handbags and shoes. The one thing they have in common is that they are all trading for social or environmental reasons and none of them has been reported paying fat-cat bonuses to directors. It begs the question: how do these diverse businesses attract start-up finance? John Bird was fortunate that he had the support of Gordon Roddick co-founder of the Body Shop, and Jamie Oliver invested his own money into the Fifteen project. What of the urban and rural community-based social enterprise? The Social Enterprise Coalition is the UK body representing the views of over 10,000 social enterprises and promoting best practice. The Scottish arm has 1000-plus members many of whom are based in rural communities. The Coalition works alongside Business Link in England and its equivalent in Scotland, Business Gateway, in providing advice on accessing finance and grants. If the business model holds up to scrutiny then start-up grants are generally available but ongoing investment for growth and development is harder to come by. A year ago in 2009 Gordon Brown chaired a Social Enterprise Summit where an action plan was drawn up committing financial support to voluntary organisations, charities, and social enterprise across the UK to the tune of £42.5millions – equivalent to the winning value of a Eurolottery syndicate, or six UK lottery winners! Surely Brown is aware that this sector contributes a huge amount to the economy, after all £24bn and growing is not to be sniffed at. Perhaps he hasn’t really had time to take these figures on board, after all he has had an economy in recession to run. In an effort to jolt politicians to pay attention the Social Enterprise Coalition is running an election campaign alongside the General Election in 2010. Within its manifesto is a package of tax incentives to encourage social investment. They aim to lobby prospective MPs to create, once elected, “an environment in which social enterprise can thrive”. The growth in social enterprise may be indicative of a more altruistic society, or perhaps social entrepreneurs feel that they have waited long enough for government to address community and environmental issues; a sort of “to get anything done around here we have to do it ourselves” attitude. Whatever the reason social enterprise has made, and continues to make, a huge impact on the economy most importantly at local and regional levels, and offers a future for employment. If the Social Enterprise Coalition is successful in getting recognition from the politicians across the UK then we could witness a greater positive response across all communities for their local social enterprises. With any luck the Moaning Minnies will have nothing left worth moaning about!